In the final episode of the year, Jaquelle and Sean talk Bible reading. Why should you read the Bible? 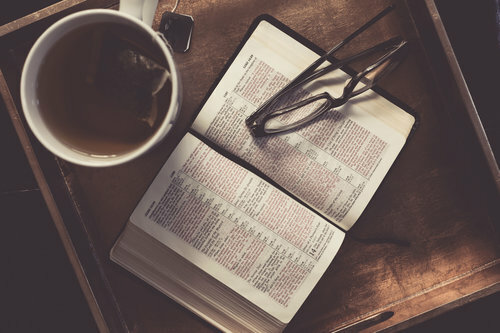 How should you read the Bible? What is the deal with Bible-reading plans? And more. For the question you asked at the end, this year I did an in-depth study of all of Paul’s letters. I recently finished 2 Corinthians, and I have to say that that is one of my favorite books! This was fantastic! Looking forward to the next episode!!! The last episode of the year was great! My Dad has been going through Philippians on Sunday morning, so I have been studying it as well in my own time. The biggest thing that has stuck out to me in Philippians is to think of others more significant than myself. God is teaching me His grace through that struggle and also humbling me in my own pridefulness. Yay, Haven, we love that you loved the episode! It was a blast to make. 🙂 Dad preached Philippians a year or so ago, and I loved it. I remember learning so much. It’s a book incredibly rich with wisdom and insight. So, so good. HOLY it is to Worship GOD ALMIGHTY through JESUS CHRIST in EVERY Single Breath and EVERY Single Moment! GOD Bless the whole of your Work, Age of Minority! Thanks for your podcast! You were all the way in Indianna and you didn’t come see me?! haha. Loved this episode. This was very timely for my life. Thank you!